I left Beth Schetter’s small classroom last week (Mar.12, 2012 blog – Great Graphics Assist Struggling Students) with more ideas to share. My first blog featuring Beth’s effective teaching tools and tricks focused on graphics to help fourth and fifth grade students master difficult subjects in Science. 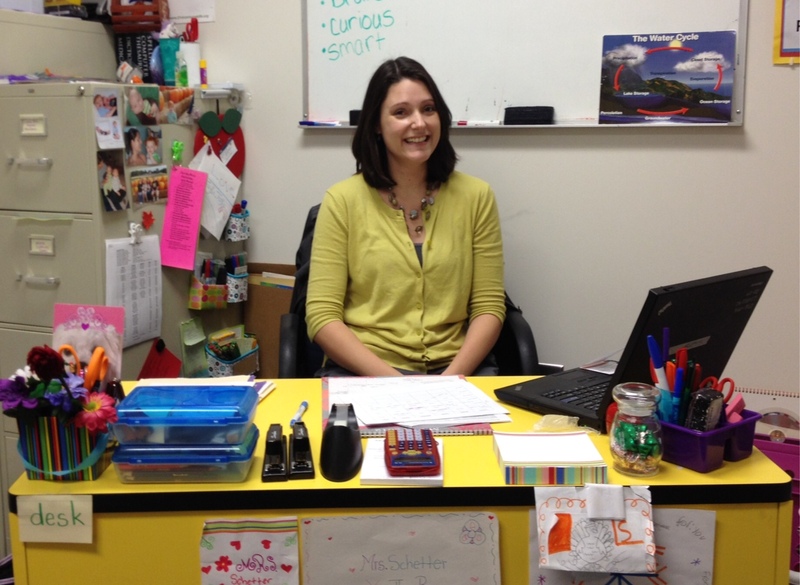 Beth Schetter's smile welcomes visitors to her classroom. Beth was happy to invite me back to take a closer look at how she uses great graphics to help struggling students with Reading and Writing, as well. Beth serves as an Intervention Specialist in a Pre-K – 5 school, working with fourth and fifth grade students along with a class of first graders – all in need of an extra helping hand. Beth has had a lot of success finding copyright-free teaching resources online. Occasionally, though, she takes marker in hand herself to help kids visualize key language arts concepts. Check out my blog pic below (poor thumb got left out!) and know that you don’t need to be an artist to make your own effective visual aids. 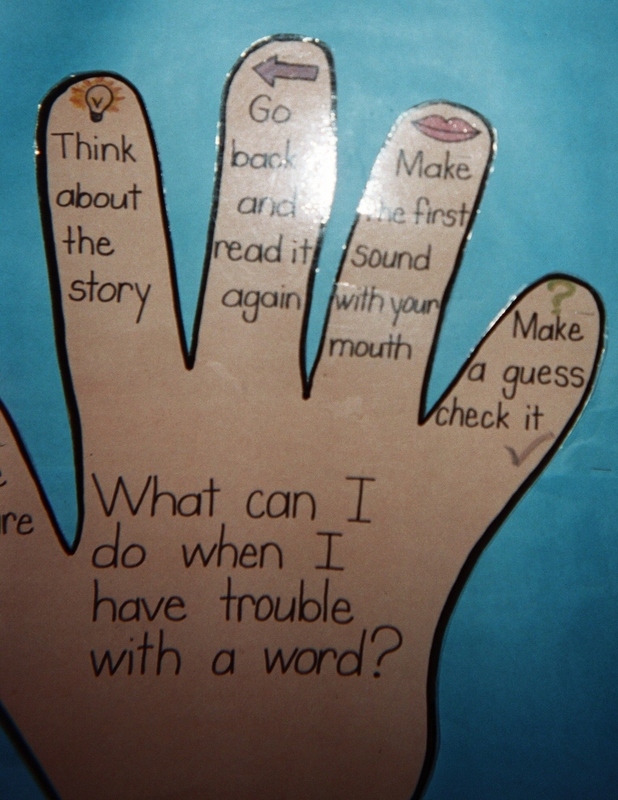 Beth’s Helping Hand for Reading challenges kids in a reader-friendly way. Palm first, boldly reminds readers to ask this important question…What can I do when I have trouble with a word? Beth’s classroom walls are covered with eye-catching, helpful graphics to support student improvement in reading and writing. The best way to read together! 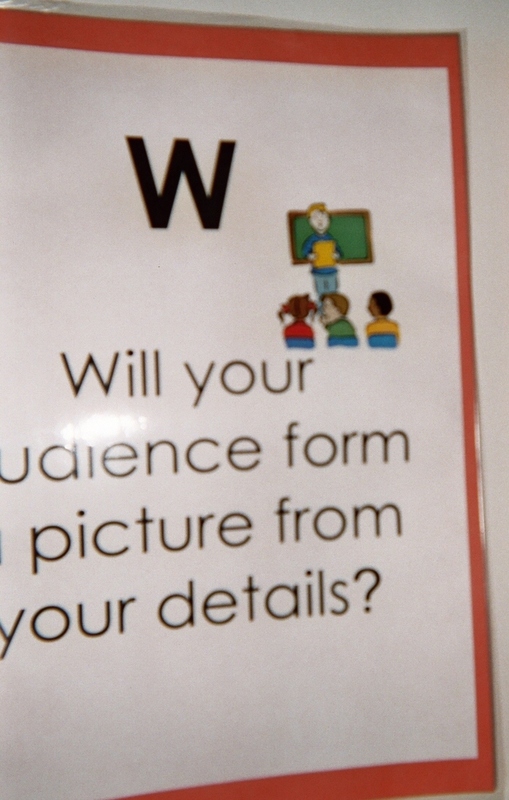 To help struggling fourth and fifth grade students master core writing concepts Beth has posted another set of graphics on one of her classroom walls. The set features the word W-R-I-T-E.
As you can see in the example pic here, each letter is paired with a colorful picture to reinforce the message. 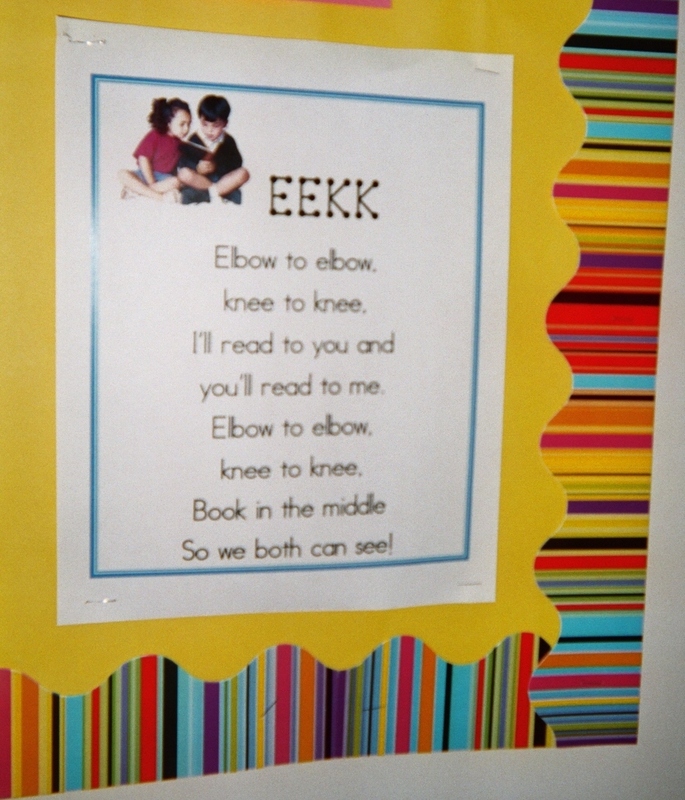 Large letter posters, catchy rhymes, helping hand graphics – all effective tools – but the best hands of all are the hands that teachers bring to their classroom tables every day, ready to help students at all levels learn and grow. Great! I’m happy there are free teaching resources for teachers to be more knowledgeable and bring new ideas to teach primary students. Thanks for sharing this post! 3 Pings/Trackbacks for "Helping Hand for Reading and Writing"